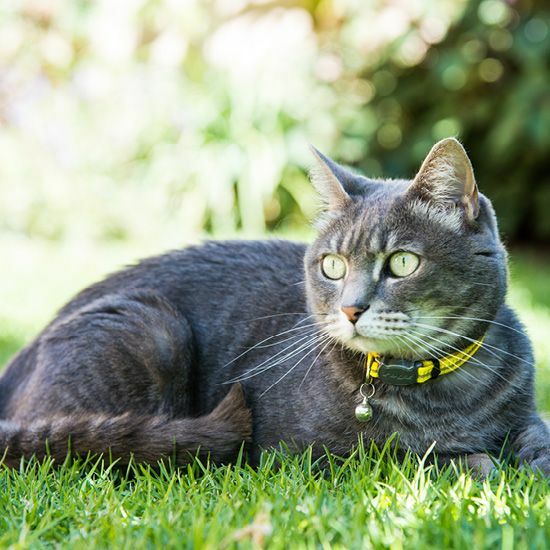 A yellow cat collar of 100% nylon with reflective nylon webbing, with a bell and a safety buckle. This is a purple cat collar made of 100% nylon with reflective nylon webbing for added visibility in bad light. 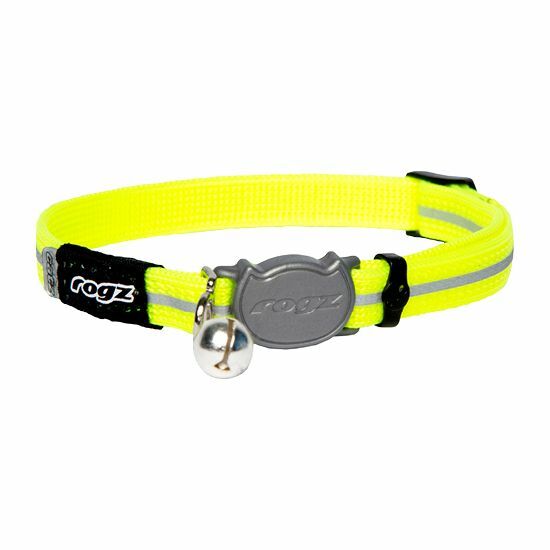 The collar is equipped with a safety buckle: Rogz developed the break-away safety buckle. This ensures that the closure springs open when the cat gets caught on something. The beauty and uniqueness of this closure that you yourself can set the load, to prevent the collar springs open too quickly. 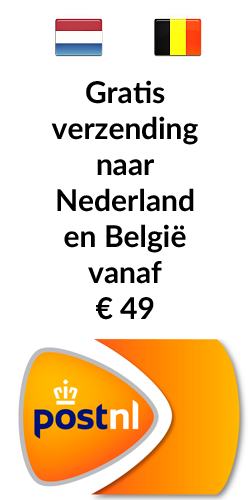 However, the collar will always open if too much pressure is applied to the closure.